The AS350 Squirrel served the RAN FAA with distinction for over three decades from 1984 to 2017. The RAAF procured Squirrels as a light utility and training helicopter, but the RAN acquired them as interim aircraft to put to sea on our FFGs. Tthe Squirrel went on to perform well beyond its original charter, regularly embarking in the RAN’s frontline warships and seeing operational service on a number of occasions. Most, if not all, of the FAA’s current cadre of aircrew would have flown the Squirrel at some time or another. Starting with six airframes in 723 Squadron, the RAN’s Squirrel fleet expanded to a maximum of 14 after retirement of the type by the RAAF/Army and the transfer of eight aircraft in 2000. Originally given the designation ‘AS350 Écureuil (Squirrel)’, the helicopter was a single-engine light utility helicopter originally designed and manufactured in France by Aerospatiale / Eurocopter (now known as Airbus Helicopters). In the early 1970s, Aérospatiale decided to initiate a new development programme to produce a suitable replacement for the aging Aerospatiale Alouette II. While the Aerospatiale Gazelle, which had been developed in the 1960s and 1970s, had been met with numerous orders by military customers, commercial sales of the type had been less than anticipated, thus the need for a new civil-orientated development was identified. Designers focused on the use of innovative and cost effective processes. One such measure was the use of a rolled sheet structure, a manufacturing technique adapted from the automotive industry. Other automotive influences included the use of ancillary items such as windscreen wipers and fuel caps taken from the likes of Renault and Peugeot cars! Another innovation was the newly developed Starflex main rotor design, which eliminated many of the complex damper and hinge systems used in traditional helicopter rotor-head design. It was also decided that both civil and military variants of the emergent helicopter would be developed to conform with established military requirements, thus although ostensibly a civil helicopter, the design was sturdy enough for military adaption. The first variants of the Squirrel equipped with a Turbomeca Ariel engine, were marketed in the late 1970s. Since then, the AS350 has received further development to powerplants, rotor systems and avionics to give it greater power and performance. Various suffixes such as “B”, “B2” B3” and “BA” were added to the original AS350 designator in order to indicate various modification states and upgrades. The original order for six AS350B Squirrels for the RAN was linked with the RAAF project to replace the ageing UH1B Iroquois helicopters in the training role, although in Navy’s case it required an interim embarked aircraft. Although not the first French aircraft to be operated by the ADF (the frontline French-designed and built Mirage III D fighter aircraft had been in service for some time) it was nonetheless a departure from the tradition of buying British or US types. The RAAF Squirrels entered service with No.5 Squadron based at RAAF Fairbairn in Canberra. Alongside the UH1Bs, the Squirrels provided rotary-wing conversion training for both RAAF and RAN pilots after they had completed their initial fixed-wing flying training. A small number of Squirrels were also based at some of the RAAF’s other flying bases in the Search & Rescue role. In 1990 when the RAAF’s rotary-wing force transferred to the Australian Army, 5 Squadron became the ADF helicopter School and continued to operate the Squirrel. 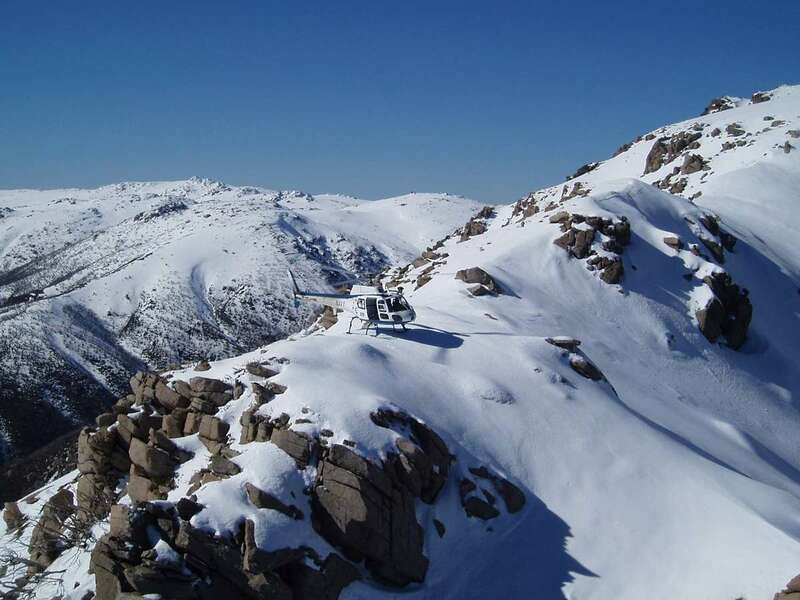 Above: An early Squirrel in its blue and white training livery practising pinnacle and ridge approaches in the Snowy Mountains. Although its roles expanded almost exponentially, rotary wing aircrew training remained a core function throughout its service life. (RAN image). The initial six RAN Squirrels were assigned to HC 723 Squadron and given the serial number prefix of N22-013 through to N22-018. The corresponding side numbers were 860 to 865. At the time, RAN Squadrons had adopted the USN convention of pre-fixing the Squadron number with a two-letter designator. The HC (Helicopter Composite) in this case referred to the fact that 723 SQN at the time was operating five different aircraft types, namely the Wessex 31B, UH1B, B206 Kiowa, HS 748 (fixed-wing) and AS350B Squirrel. 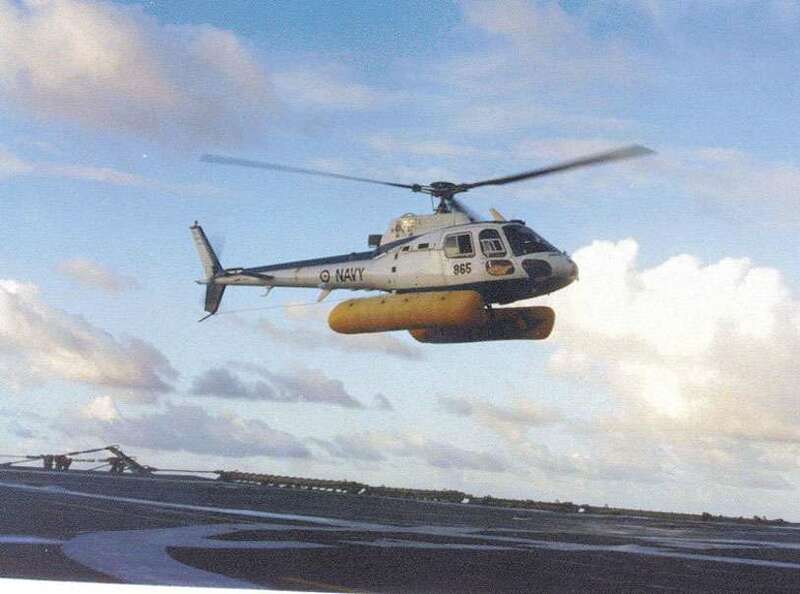 The Navy Squirrels were powered by a single Turbomeca Ariel 1B engine producing 681 shp. This gave the Squirrel an impressive cruise speed of approximately 120 knots with a Vne of 147 knots. The aircraft’s all-up-weight was a maximum of 2100kg with an external load. Later modifications to the Squirrel from “B” to “BA” specification involved the fitment of wider chord main rotor blades taken from the twin-engine version of the Squirrel (AS355). This gave the aircraft increased performance with greater speed and payload, though with a slightly higher fuel consumption. The Squirrel could carry six people in total (including the pilot in the front right-hand seat) with a configuration of two seats in the front and four along the rear bulkhead. The rear seats could be easily removed or folded as required, to provide cabin space for internal cargo. The front left seat and flying controls could also be easily removed so that a stretcher could be fitted fore/aft in this position if required. The aircraft was also fitted with a winch and external cargo hook to enable light utility operations. The Squirrel was equipped with hydraulically-assisted flight controls that remained operational, albeit requiring greater forces, in the event of a hydraulic failure. Both the three-bladed main rotor system and two-bladed tail rotor system made use of composite material and were designed to minimise corrosion and maintenance requirements. Although not the original intention, this made the Squirrel well suited to the harsh maritime environment. As with the airframes that the RAAF designated as SAR aircraft, the RAN Squirrels had a more comprehensive avionics suite than the training aircraft. This included a Doppler navigation system, TACAN navigation system, Stability Augmentation System (SAS), a rudimentary Automatic Flight Control System (AFCS) and DF homing capability. Local modifications included a light machine gun mount (used later in Middle East Operations) and a hand-held Electronic Warfare detector. It was also the first RAN aircraft to be fitted with GPS and to carry a satellite-based locator system in the event of ditching at sea (ARGOS). A strange quirk of the early ADF Squirrel fleet was the fitment of a rolling grip throttle on the collective. Although the aircraft had been designed with speed select levers, the ADF had insisted on the rolling throttle design to enable the practice of ‘manual fuel’ operation by pilots, as had been the case with the UH1Bs. An unfortunate side-effect of this design was that the extra cable slack that was inherent in adapting to a rolling throttle grip rather than a lever that clicked into a pre-set detent, caused many ‘hot starts’ as eager students and staff pilots, rolled on too much fuel during the start sequence! The FAA in the early 80’s had undergone a strategic shift in emphasis towards small ship operations as the new Adelaide class guided missile frigates (FFGs) came on line. Small ships’ aviation facilities began to be standardised, audited and certified. Processes were written down. Evaluation and Test procedures became much more detailed and appropriate to the task, and Flight personnel became integrated with the ship – that is, the Flight ‘belonged’ to the ship and was titled accordingly. Integration involved formal training of both flight and ships’ command teams on how to operate safely and to get the best out of their aircraft. With a few exceptions, all of the first FFG flights were first tour Flight Commanders, and Flight Senior Maintenance Sailors (FSMS) were also first tour as supervising senior maintainers, although several had experience embarked in HMAS Moresby, Melbourne, Stalwart, Success and Tobruk. At the time this was a big hurdle to overcome with the RAN FAA philosophy more attuned to big squadron embarkations. In particular, some of the Engineering Officer fraternity ashore had difficulty with the authority delegated to FSMS – but although the occasional skirmish occurred, it mostly it worked well. From the outset the Flight Commanders were appropriately treated as head of their own aviation operation alongside ship’s command – a common practice in later years but innovative at the time. The introduction of the Squirrel to service (there were no Intensive or Operational Flying Units) was carefully documented so that there was history in the event of a problem. Not everyone was convinced with the approach 723 took, or with the ability of the AS350B to handle the environment. The outcomes were to the abiding credit of the embarked flights, which did great job with the Squirrel, which not only provided critical capability but set valuable foundations for the far more complex Seahawk that was to follow. Above. A striking picture of a Squirrel undertaking load-lifting to the deck of an RAN ship. Although never designed for embarked operations the little aircraft proved to be a jack of all trades. Note the Centenary (of the RAN) paint scheme on the aircraft. Image via Jeff Chartier. It is notable that HC723 Squadron was home for 46 Officers and up to 240 maintenance sailors, aircrewmen and other ratings and operated 6 Wessex 31B, 3 Iroquois UH1B, 3 B206 Kiowa, 6 AS350B Squirrel and 2 HS748 EW Training Aircraft. Further, the squadron supported embarked ships’ flights and detachments using Wessex 31B, Kiowa and AS 350B helicopters. 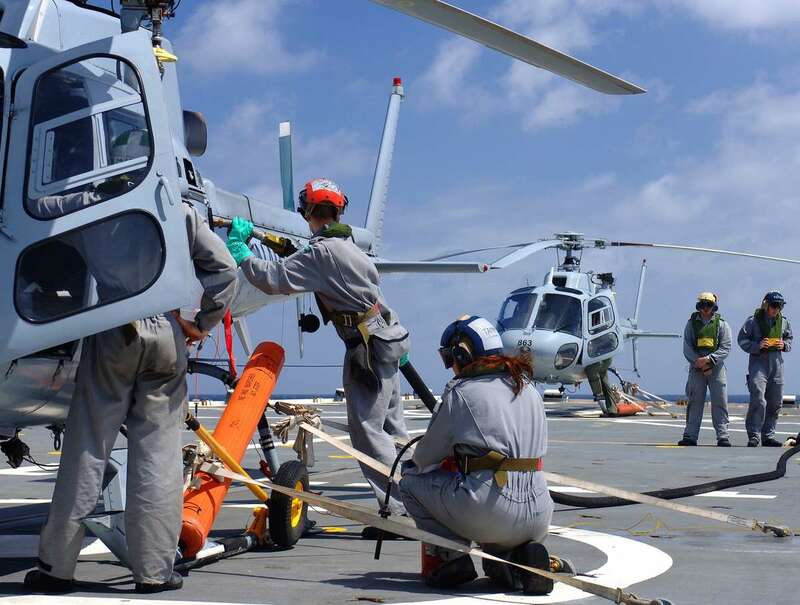 In particular, it convened and administered both embarked and disembarked ships’ flights using the AS350B for most FFGs providing up to three AS350B helicopters, aircrew support crew and spares, as required. One major setback experienced by the RAN in introducing the AS350B was poly-carbonate airframe cracking on door posts and other load bearing forward fuselage areas. The cracking commenced prior to embarked operations but was most probably accentuated once the aircraft were put to sea – one theory was that the cracking was accelerated by fuselage stresses whilst the helicopter was tethered to the moving deck or hangar. Whatever the reason, it necessitated extra costly cabin/forward fuselage procurement and fitment until a poly-carbonate repair scheme was initiated to bolster fuselage component strength. The embarkation of the Squirrels was highly successful from the outset. Although somewhat limited in range and capability compared to purpose-designed naval aircraft, the Squirrel nonetheless became a most valuable asset to the FFGs. In addition to all the utility and communications tasks that the Squirrel could perform, its ability to fly ‘over-the-horizon’ and perform the surface search role was invaluable to the FFG war-fighting capability. During RIMPAC exercises in the waters around Hawaii, the RAN Squirrels regularly identified and reported locations to ‘mother’ of the large US battle fleets, something which had the US Navy often scratching their heads wondering how the RAN had located them so easily. Little did they suspect a Squirrel posing as a tourist helicopter as it flew around the islands! Embarked Squirrels were crewed by one pilot and one observer, and the Flight Senior Maintenance Sailor (FSMS), led the maintenance teams of three maintainers (one airframe/engines, one electrical/weapons and one communications). To enable the Squirrel for maritime operations, the aircraft was equipped with emergency flotation gear, which was attached to the skids. The floats were both armed and activated (if necessary) via switches on the centre Honeywell panel in the aircraft, which was a matrix of 36 identical looking switches, with only small decals to distinguish the function of each switch. This panel also contained other switches for many systems such as lights, heating, wipers, etc. On more than one occasion, as the pilot called for the Observer to select the windscreen wipers during a heavy rain squall, the result was the unintentional firing of the floats, accompanied by a cry of “What the #$%@”from the surprised pilot as two huge speed brakes deployed! Above Left: An unusual shot of a Squirrel with its flotation bags deployed (Image via Jeff Chartier). Above right. Two Squirrels deployed aboard HMAS Manoora. The stowed orange flotation bags can be seen on the aircraft, affixed to the skids. When ground handling wheels were attached the flotation container was moved to a diagonal position. The original blue and white livery of the training aircraft gave way to battle grey when deployments to the Middle East Area of Operations began. (RAN image). Below: A Squirrel in the hangar of HMAS Parramatta. Note the folding blades. The aircraft’s small size meant there was plenty of room, as the hangar was designed for a S70 Seahawk. (RAN image). To permit helicopter stowage in ships’ hangars, blade folding gear and supports were also designed so that the three main rotor blades could be folded back over the tail. Temporary wheels, which attached to the skids, then allowed the aircraft to be easily traversed between flightdeck and hangar. Apart from these modifications, the original embarked Squirrels were equipped identically to their land based counterparts. In August 1990, Iraqi forces invaded Kuwait, and a coalition of forces was formed to sail to the Gulf region. The Australian government initially committed three ships to the operation (known as Operation DAMASK). These were the FFGs Adelaide and Darwin and the tanker Success. Each of the FFGs already had an embarked Squirrel having recently returned from the RIMPAC 90 exercises. 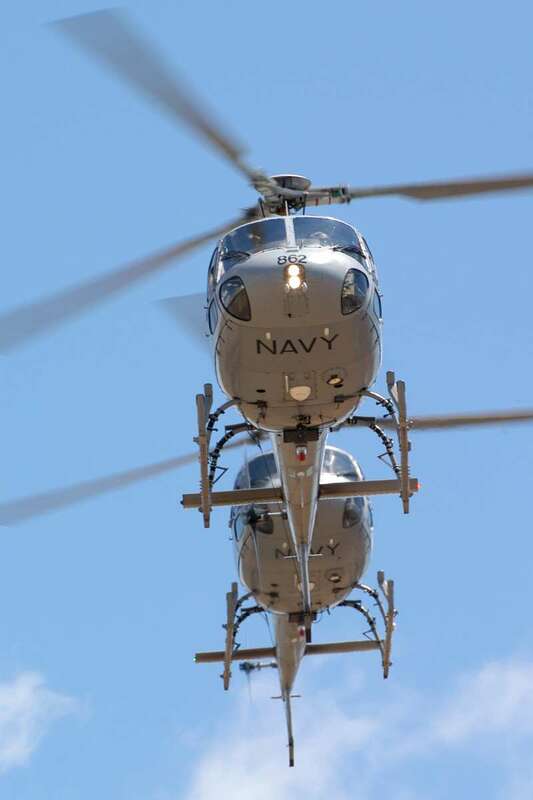 In an operation that saw aircrew and maintenance crews working around the clock, all hands turned to at NAS Nowra to prepare three Squirrel helicopters to embark in each of the three ships, as well as the newly acquired S70B2 Seahawk (not yet fully operational) to embark in each of the two FFGs. In only a few days, the Squirrel fleet was transformed into a combat ready force. The aircraft’s blue and white gloss livery became naval aviation grey. Avionics were upgraded to include tactical radios and a GPS navigation system. The helicopters were also equipped with a MAG 58 General Purpose Machine Gun (GPMG). So with a task force including five helicopters, the RAN and FAA set sail to see active service for the first time since the Vietnam War. Very quickly, the combination of Squirrel and Seahawk helicopters in each FFG became an invented, formidable and integrated asset to the ships and to the task group. 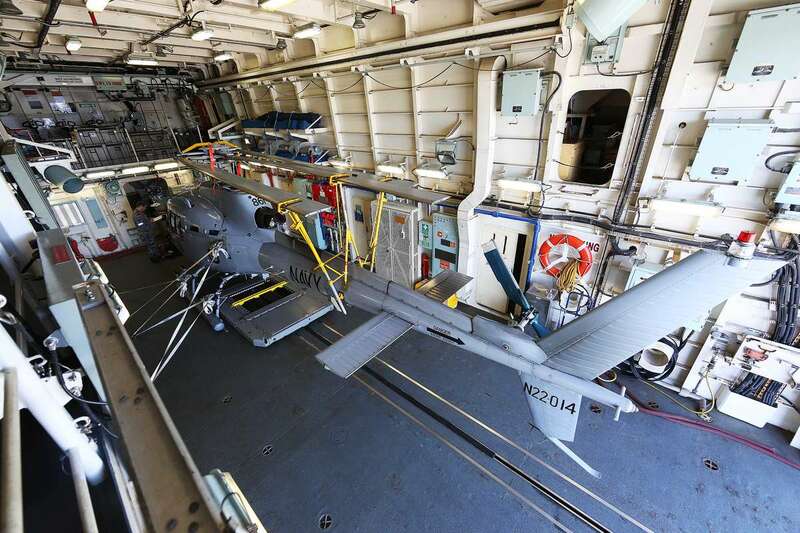 Flying operations complemented each other with the Squirrel able to achieve the close-in utility support and surface search tasks while the Seahawk performed long-range missions. The Squirrels were invaluable in providing quick reaction identification of close-in surface contacts. Many missions involved the identification of small, unknown surface contacts, suspected of being mines. 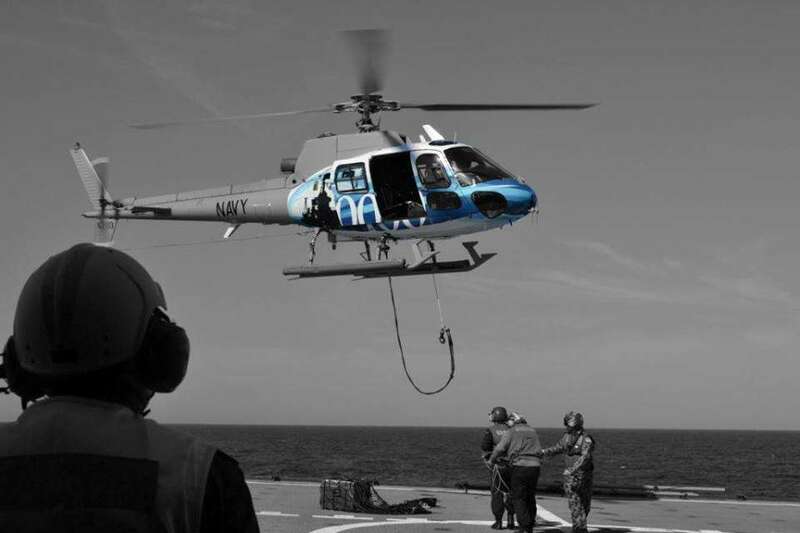 In addition, the Squirrels provided logistical support by lifting both internal and external cargo between ships in the task group as well as the occasional medevac mission. On more than one occasion, due to weight and range considerations, the pilot flew the Squirrel solo, with a patient in a stretcher fitted fore/aft in place of the other seats. No doubt the first landing of a Squirrel helicopter on an aircraft carrier occurred when HMAS Darwin’s Squirrel did a stores run to the carrier USS Independence to pick up parts for the Seahawk. Above Left: A very small helicopter on a very large deck! Darwin’s Squirrel on the flight deck of the USS Independence to collect spares for the Seahawk. 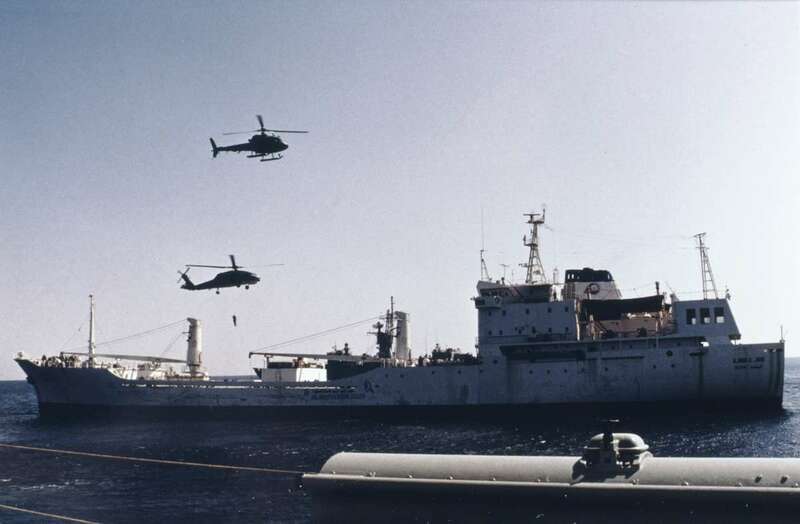 Above right: Both helicopters from HMAS Adelaide hovering over the Iraqi ‘Al Shark Fishing Cooperation’ merchant ship, the ‘Al Bahar Al-Arabi’. The boarding party was carried by the Seahawk, whilst the Squirrel, armed with a GPMG, kept a close eye on the ships’ crew in case of armed resistance. Another invented regular tasking involving the operational use of the Squirrel occurred during boarding operations. As part of the international sanctions against Iraq in the early part of the conflict, all Iraqi merchant ships proceeding through the Arabian Gulf area were boarded and their cargo inspected. These boardings were often ‘hostile,’ with the Iraqi vessels refusing to stop and comply. During boarding operations where the Seahawk inserted armed boarding teams via fast-rope, the Squirrels played a crucial role in being able to provide ‘top-cover,’ hovering close to the ship to be boarded, equipped with the GPMG, ensuring none of the boarded ship’s crew undertook offensive action whilst the Seahawk was exposed during the fast-roping evolution. After HMA ships Darwin and Adelaide returned from the first phase of the Gulf War, the Squirrel presence in the Gulf continued with the AS350B Squirrel embarked in HMAS Success and another embarked Squirrel in the FFG HMAS Sydney. After the initial conflict ended in early 1991, RAN deployments of a single FFG (with Squirrel embarked) continued for many years. This included further active service in 1993 when the embarked Squirrel in Canberra, alongside its Seahawk stable mate, was involved in coalition attacks on a resurgent Iraqi force. 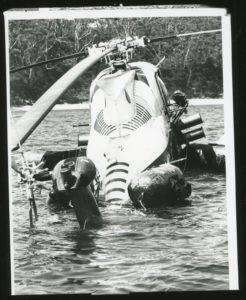 As the Seahawk became fully operational in the mid 1990s, the need for a permanently embarked Squirrel diminished and the helicopter was returned to its original and primary role of providing ongoing flying training and utility support as part of 723 Squadron based in NAS Nowra. Although used in the training role from the outset and with an increase in fleet numbers to 14 in 2000, the Squirrel became the primary platform for helicopter training for Pilot Rotary Conversion, Aviation Warfare Officer (Observer) Rotary Conversion and Aircrewman Rotary Conversion. Other duties included limited fleet support in range clearances and flight deck procedural training, and some embarked support on major warships. Over the decades, the RAN’s Squirrels were involved in numerous activities in support of the civil community. These included support during the ‘Black Christmas Bushfire’ crisis that swept through New South Wales from Christmas Eve 2001 until mid January 2002. Squirrels were tasked with the provision of logistic support to fire-fighters on the ground, fire spotting and also as transport for the Air Attack Supervisors. Squirrels also provided assistance during the 2011 floods in South East Queensland and Victoria, and the 2012 floods in the Wagga Wagga region. More recently, 723 Squadron was able to embark Squirrels onboard a number of major fleet vessels during significant periods for Navy. In 2013, two Squirrels embarked in the Spanish Replenishment Ship, SPS Cantabria, during the vessels yearlong deployment to Australia, which coincided with the RAN International Fleet Review. 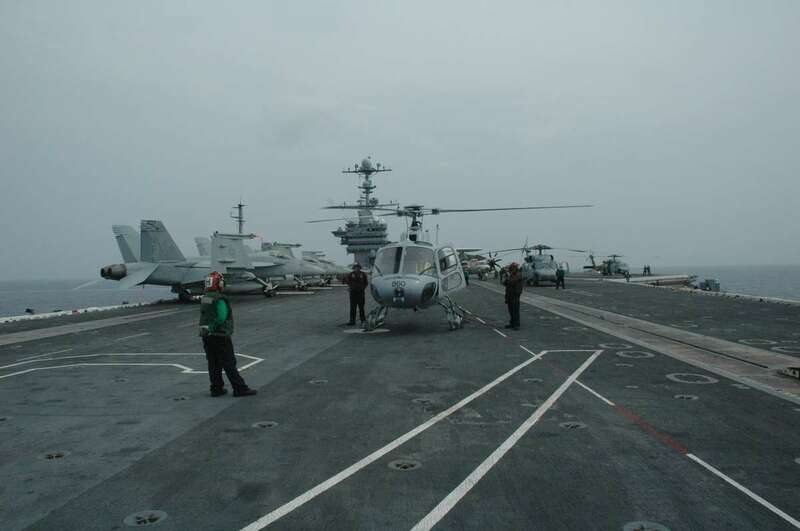 This was the first time that RAN FAA aircraft had been embarked for the long term and been fully integrated into a foreign Navy vessel. In 2015, a Squirrel embarked in HMAS Anzac during the ship’s Operation NORTHERN TRIDENT ‘around the world’ deployment, in support of ‘Centenary of Anzac’ celebrations and activities at Gallipoli. Above: Over, under or round? 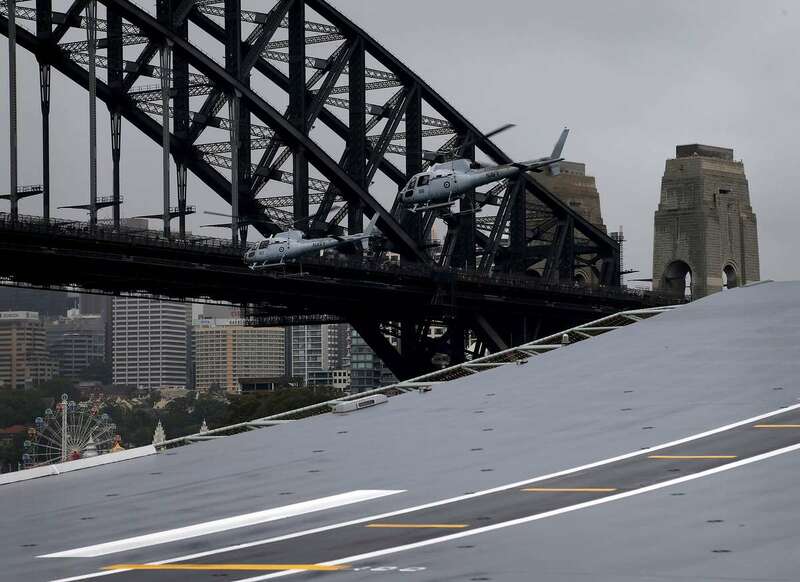 Two RAN Squirrel helicopters approach the Harbour Bridge with HMAS Canberra’s ‘Ski Ramp’ bow in the foreground, on Australia Day 2015. The ‘pairs’ display team performed at many such occasions. (RAN image). The Squirrel’s robust design and agile flying qualities made it an ideal aircraft to use in flying displays. Whilst there have been many single helicopter displays from various types flown in the past, 723 Squadron saw an opportunity to develop a ‘Pairs’ Display based upon successful similar displays flown by the Royal Navy’s Gazelle and Lynx helicopters. Flown by experienced Qualified Helicopter Instructors (QHIs), the 723 Squadron Helicopter Display Team of two Squirrels performed at many major airshows and open days throughout Australia, including the Australian International Airshow at Avalon, Australia Day displays in Sydney, Skyfire in Canberra, Temora Aviation Museum open days, the RAAF / ADF airshows and HMAS Albatross open days. The AS350BA was officially ‘paid off’ from the Navy on 01 December 2017, together with the Seahawk S-70-B. The final Squirrel flights occurred on Tuesday 5 December with one departing to RAAF Point Cook to be displayed in the RAAF museum and another to Oakey for the Army Aviation Museum. Previously, aircraft were allocated to the FAAM at Nowra and the Australian War Memorial. It was a credit to the teams that maintained them and the aircrew who operated them, that no Navy Squirrels were ever lost in an accident. The AS350 Squirrel was an extremely versatile helicopter that far surpassed its original charter. It served with distinction for over three decades and will be remembered as one of the most successful aircraft to have ever been part of the Fleet Air Arm. Greg Davis, for his photographic library. If you enjoyed reading about the little Squirrel, you may want to find out more about its larger (and older) sister: the Westland Wessex. As a stalwart of RAN Aviation for nearly three decades, the Wessex served us well. Read its extraordinary story, see where every airframe went, enjoy the image library and learn about Operation Bursa, which the Wessex heralded with little more than a wing (rotor blade?) and a prayer. Click on the image to the left to access this amazing collection.